A little late but oh well. It's not too interesting a read anyway. Thursday, May 24 will be a big day for the creators of Loose Change, the wildly successful Internet “documentary” which says the Pentagon was struck by a missile instead of a plane, the World Trade Center was brought down by a controlled demolition, and that the passengers on United Airlines Flight 93 were taken to Cleveland and then spirited away, presumably to Mars. Korey Rowe and Dylan Avery, along with Willie Rodriguez, a 9/11 survivor who insists he saw evidence of controlled demolition, will appear on a major network daytime TV show, ABC’s The View. Rosie O’Donnell will thankfully be leaving the show in a few weeks, but as a going away present, ABC is giving her the chance to promote 9/11 conspiracy nonsense to a nationwide audience. Revolver have acquired the rights to the hugely successful online film about the 9/11 terrorist attacks. Online film phenomenon 'Loose Change 9/11' has been picked up for theatrical release in the UK. The controversial documentary, which centres on the September 11 terrorist attacks and the failure of both the US government and the media to answer the questions surrounding the tragedy, is one of the most downloaded films in internet history. It was also the subject of BBC documentary '9/11: The Conspiracy Files' and was screened in London as part of Time Out's 'My Favourite Film' season last year. Revolver has picked up the rights to 'Loose Change (Final Cut)' and will release the film on the anniversary of 9/11. 92ND STREET Y 1395 Lexington Avenue. Sunday at 6:30 p.m., a screening of “Loose Change,” a documentary about the terrorist attacks of Sept. 11, followed by a discussion with its filmmakers, Dylan Avery, Jason Bermas and Korey Rowe: $25. Alex Jones interviewed Guy Smith, producer of BBC 'Conspiracy Files: 9/11', today on his show. He also had on Dylan Avery and Paul Joseph Watson as well. Big thanks to nw0.info for the original rip, and Bozo for the trimmed MP3! Jason emailed two days ago asking if I would come on to talk about activism. Thanks guys for the opportunity. Two more ground zero emergency rescue personnel are on the record as stating they were told Building 7 was going to be brought down on 9/11 hours before its symmetrical implosion, completely contradicting the official explanation of accidental collapse. The new revelations provoke urgent questions about how a building was rigged with explosives within hours when such a process normally takes weeks or months and why the decision was taken to demolish the building amidst the chaos of the situation on that day. Yesterday we reported on the testimony of an anonymous EMT named Mike who told Loose Change producer Dylan Avery that hundreds of emergency rescue personnel were told over bullhorns that Building 7, a 47 story skyscraper adjacent the twin towers that was not hit by a plane yet imploded symmetrically later in the afternoon on 9/11, was about to be "pulled" and that a 20 second radio countdown preceded its collapse. Shortly after this article was released we uncovered more astounding testimony of ground zero rescue workers who are fully public and on the record in repeating the same claims, that Building 7 was brought down deliberately and that its collapse was not accidental as the government claims. Dylan talks a bit about the future plans for the existing second edition, clears up the misstatements on their budget for the film, and talks about what we can expect to see once Loose Change Final Cut is released. Thanks to Bozo and Ed for the heads up! And a bit of off camera discussion here. 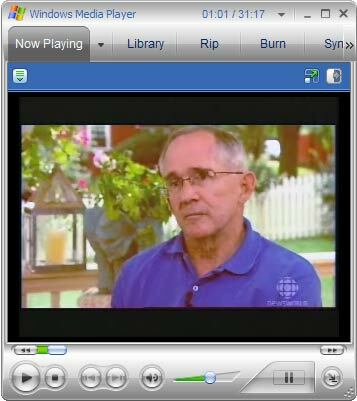 CBC Sunday covered in great detail 9/11 alternative theories. They referenced Scholars for 9/11 Truth, Loose Change, and the standard range of 'conspiracy theory' topics. The show featured interviews with Bob McIlvaine, Dr. David Ray Griffin, Dylan Avery, Lee Hamilton, and Jim Meigs (Popular Mechanics). Download it, check it out, post some comments, and send in some feedback to the CBC. You can also check out a tiny bit on CBC's website at the moment here. Big Thanks to Neil from stoplying.ca for the video rip and heads up! Big news coming in from the Loose Change crew..
Democracy Now with Amy Goodman, 8 AM, September 11th, 2006. I'll be on debating Davin Coburn of Popular Mechanics, in studio, for broadcast on TV and radio. How's that for a 1-2 punch?